ItemB-08128 - The James Bay Athletic Association clubhouse on Victoria Harbour; seen from the roof of the Birdcages. ItemB-08142 - "The Cinderella of the family...."
ItemB-08144 - "Suggestion for the tax collector...."
ItemC-06357 - From "Drawings by John Webber of Natives of the Northwest Coast of America" 1778; a man of Oonalaska. ItemB-08123 - Thomas Dufferin Pattullo as a very young man. 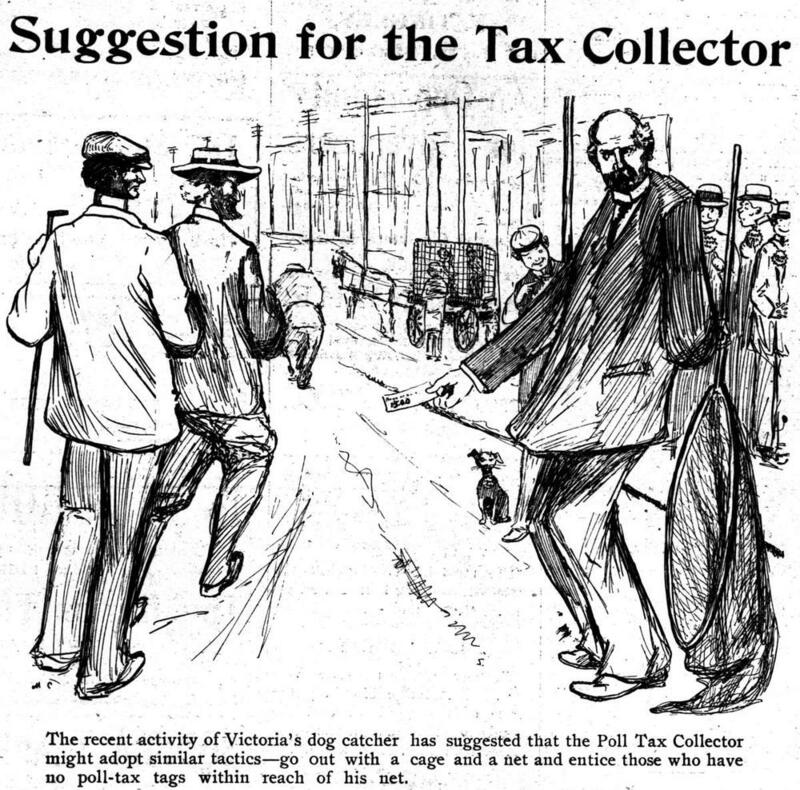 Item B-08144 - "Suggestion for the tax collector...."
"Suggestion for the tax collector...."